Nothing less than perfection for my shopping experience of MY Fleep! Caring and compassionate service, as much online as on the telephone, fast delivery and the mattress is ssoooo comfortable! This Mattress is Fleepin’ unreal! Words truly fail me for describing my profound love for this mattress – mostly because I spend almost all of my time on it in deep, refreshing sleep – however I shall endeavor so that anyone on the fence feels more comfortable with making the purchase. My partner and I set out to purchase the #perf mattress a few weeks ago, but were quickly overwhelmed by the weirdly competitive world of online mattress retailers. 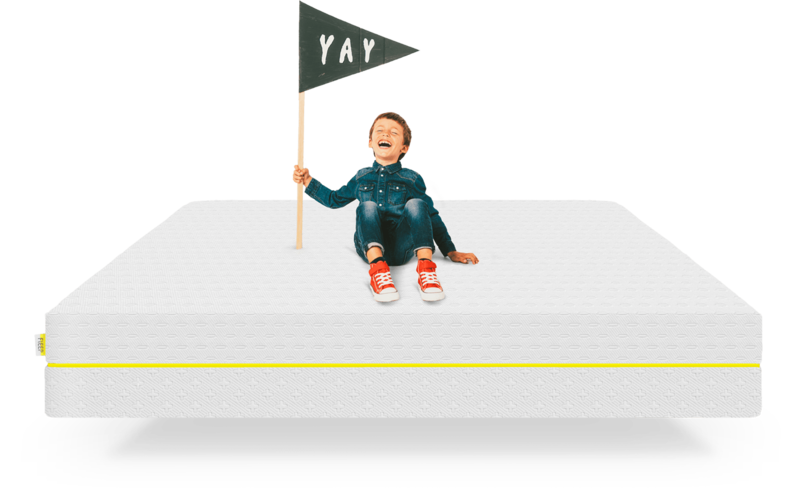 We had our work cut out for us, as we compiled a list of 15 or so prospective mattresses from all the big names including Casper, Endy, Amazon, etc. After scouring the web for reviews and information, we determined that Fleep was one of the few mattresses that touted itself as ‘firm’, which is what we were after. Yet even after spending considerable time into researching mattresses, we still felt like we were flipping the coin on this, but Fleep was also one of the best-priced options available. At any rate, we pulled the trigger….It was delivered across the country within the week in a box that seemed impossibly small for a queen-sized mattress. After taking it from the box and splitting open the packaging, It exploded out like John Goodman’s belt after Thanksgiving dinner. We’ve only had it for a few weeks now, but our Fleep is legitimately the best mattress I’ve ever had (I don’t have a degree in mattresses but I’ve owned/slept on 7 in my life so I feel somewhat qualified). Every night I’m embraced by a firm and yet supple surface that quickly escorts me to the deepest reaches of REM sleep, which leaves me feeling well rejuvenated each morning when I wake up. I actually find I need less sleep now to feel just as rested. Finally, I’d like to say that the guy running Fleep is top shelf in my books. Quick to respond to inquiries, and emails promptly when he feels there might be a concern. The only weakness with this mattress is that the edges of the mattress aren’t incredibly firm, so if you’re one of those weirdos who really cares about that (I’m basing this on all the mattress reviews I’ve read), then this may not be the mattress for you.